2nd Saturday - 9:00 p.m.
Lions Club of Aurangabad Icon's Website! Past International President Ln Wing-Kun TAM Installing President Ln. Sunil Chotlani for the term 2013-14 on 24th July 2013 in Macau. 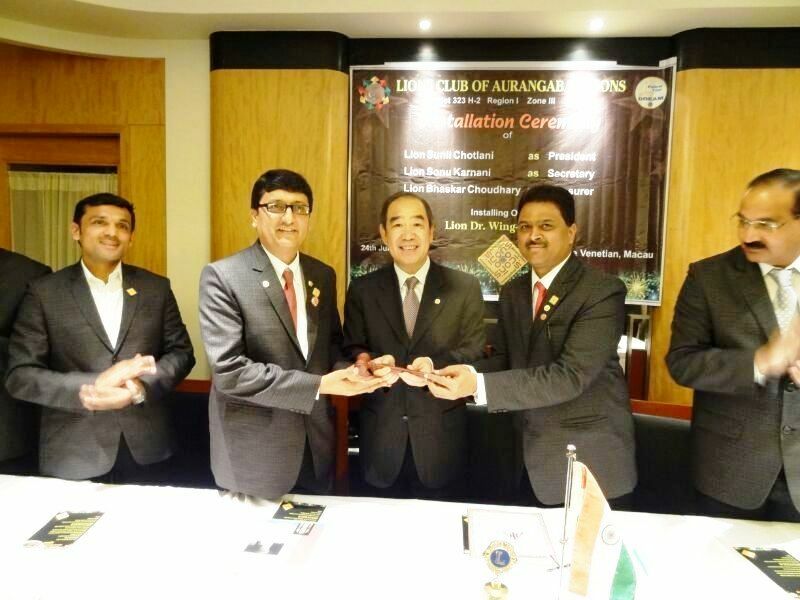 Lions Club of Aurangabad Icons is a group of service minded, fun loving bunch of Lions who love to be the trend setters in every endeavour they undertake. Launched on 15 September, 2012 by the hands of Lion Raju Manwani and duly chartered on 10th October, 2012. Lions Icons have already started the Lionistic year 2013-14 with a bang by planting 11000 Trees and initiating a Lions Quest Teachers' Training Workshop with a 1000 students implementation. Cataract camps, a permanent computer lab in a school and various service projects is on the cards in the days ahead. The Club is a mix of Lions belonging to various fraternities like industrialists, real estate entrepreneurs, businessmen, educationists, practising doctors, architects and many more spheres. 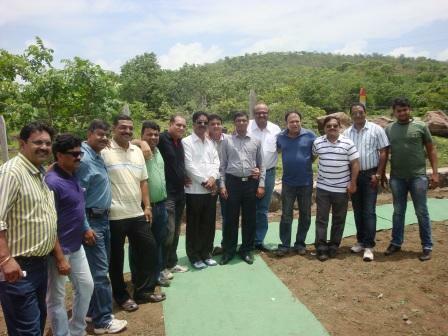 The Club is known for its fellowship events which has created a great bonding within the members. 45+ icons flying to Macau for their Club Installation is an apt example of the bonds of friendship between the Icons. The Team of 2013-14 with Lion Sunil Chotlani as President, Lion Sonu Karnani as Secretary and Lion Bhaskar Choudhary as Treasurer is all set for a memorable year ahead. We are open to all sorts of Club Twinning and National/International projects which shall be in tune with our motto 'We Serve'.